The apostle Paul lamented, “I do not understand what I do. For what I want to do I do not do, but what I hate I do” (Romans 7:15 NIV). A similar dilemma sometimes governs our daily choices related to our health. In effect, we sometimes don’t understand our own actions. Instead of doing what we want to do and know to be the appropriate choice, we end up doing the very thing we intellectually reject as inappropriate and counter-productive. With regard to their health, I often hear someone say plaintively, “I know what to do, I just don’t do it.” The things they know they should do and want to do are the very things they have trouble doing consistently with purpose, intent, and directed energy. Sometimes a person is not ready to change, or their attempts may have been inconsistent or half-hearted. Making a lifestyle change requires an “all in” approach. Beyond knowledge, you need a clear vision, attainable goals, and an effective strategy to reach your goals. You may need a coach, cheerleader, or accountability partner. Consistency is key. You may falter at times, as we all do, but building sound eating habits will enable you to get right back on the path and stay the course to optimal health. Have faith. Your daily commitment to health and faith-inspired action renews your mind, aligns your goals, and transforms your health. Thank you for reflecting on my Eat Right, Your Way, Everyday series. I love hearing from readers. Please leave your comments, insights, or questions below. 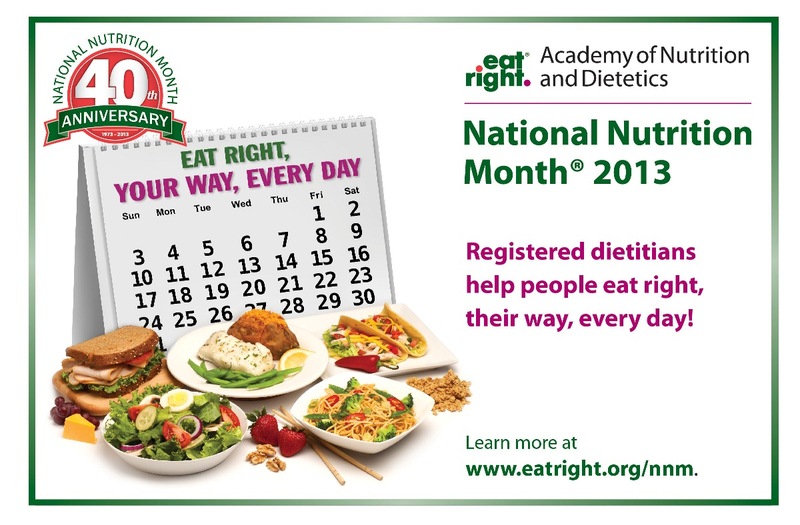 This entry was posted in National Nutrition Month and tagged Bible, Christ, diet, Eat Right, Every Day, God, health, holy, Men's Health, Morning by Morning, National Nutrition Month, Norma DeVault, nutrition, Pathway to Health, wellness, Women's Health, Your Way.